Experience the latest in metal fabrication and welding technology. Watch live demonstrations on lasers, waterjet, bending, welding and much more. You can also take part in Capital's welding seminar presented by Hobart Institute of Welding Technology. The seminar will cover the search and need for qualified welders, retention and automation. Besides learning, you can also test your own welding skills on a demo truck. Mazak will be showing the OPTIPLEX FIBER 8kW laser-cutting machine. OPTIPLEX 8.0kW Fiber III laser-cutting machines integrate POWER+ exclusive technology. Intelligent performance for maximum productivity The OPTIPLEX 3015/4020 Fiber III series features Intelligent Technology that delivers higher cutting speeds, maximum throughput and uncompromised quality. • Multi-Function Torch and Nozzle Changer technology increases productivity by allowing the machine to optimize the setup automatically. • New PreviewG control with 19” SXGA TFT monitor with touch screen includes integrated tech tables that simplify operation. 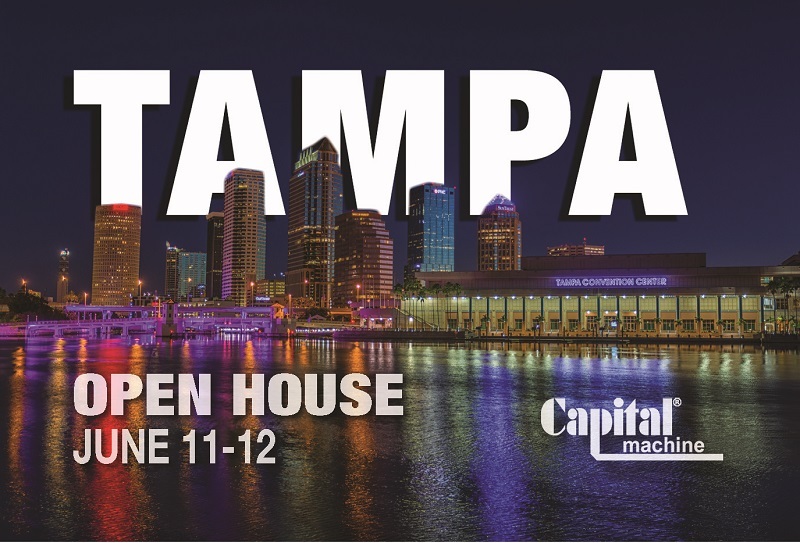 For more information and to register for this event visit Capital Machine's event page for registration or call 1-800-635-7777.